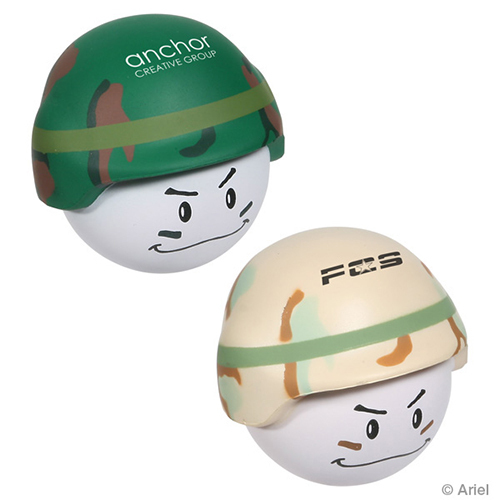 Our Soldier Mad Cap stress balls are combat ready. These green camo clad soldier mad cap stress relievers are great promotion to hand out at military shows. You can put a custom imprint on a soldier mad cap stress ball and squeeze the heck out of it. Item Size : 2-3/8" x 2-3/8" x 2-5/16"